Gopichand was the last Indian to win the title back in 2001. Hyderabad: He was the last to win the All England Championship for India and chief national coach Pullela Gopichand on Monday hoped that one of the three prodigal talents he has shaped will end the 18-year-old title drought at the event this year. "I hope that we have one of our players win the All-England tournament this time around. We have had good performances by Saina (Nehwal), (P V) Sindhu and (Kidambi) Srikanth has also been in good form. 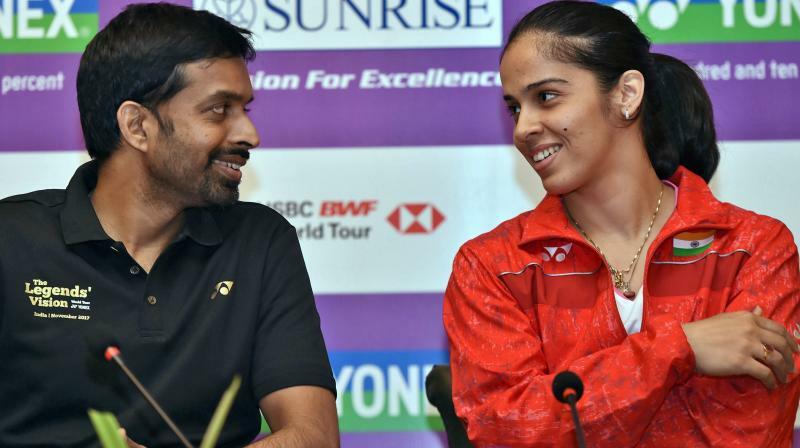 I do expect that we will have a good performance in this year's All-England," Gopichand told PTI. "Going in Saina has just won the Indonesian open and Sindhu has also done well. So, I think both of them can do well at the All England as well. Hopefully we will have some good performances from our players. It is almost 18 years now and I hope that this year we can break the jinx." Gopichand had claimed the All England Championship in 2001, more than two decades after Prakash Padukone became the first Indian to achieve the feat in 1980. Srikanth, who had clinched four titles in 2017, endured a title-less season last year and Gopichand said he expects the Indian to do well this year. "Srikanth has played well. He is somebody whom I expect will do well in the year," he said.